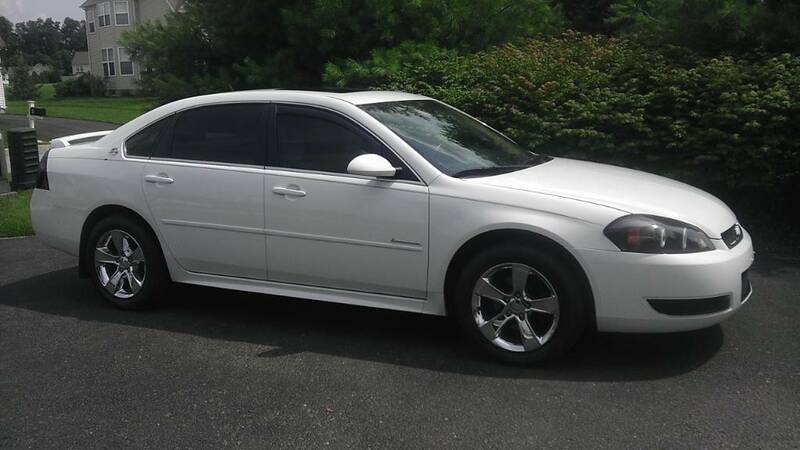 Chevy Impala Forums > Performance and Technical > Chevy Impala 9th Gen Discussion > Which Impala do I have? Which Impala do I have? Sorry, can someone move my post to the 9th Gen Impala Threat?? Apparently I wasn't paying attention when I decided to create a post!! Very sorry!! This is my first post and I’m new to this forum, but I’m sure it won’t be my last!! I’m sure this has been discussed repeatedly in the past, but I’ve searched and can’t find what I’m looking for. I just bought a 2014 Impala LTZ and I LOVE it so far. This car is replacing my 2008 Buick Lucerne that just got totaled. This is going to be my daily driver. I’m a kind of “car guy” and also own a 1970 Olds 442, 1974 Corvette and a 2011 Challenger RT/STP. I chose this car because I need a 4 Door, it has all the options and features I want in a driver while still maintaining performance and it looks REALLY nice! My question is, which 2014 Impala do I have, it’s pretty confusing? The car badging says it’s an “LTZ” with no “Limited” badging at all. Everything I can find says it was made in Canada but nothing says it’s a “Limited” version. It has 19” rims and the Air Box is on the passenger side. It was a Leased vehicle that I purchased from Enterprise Car Sales (and Rental) so I assume it’s a Fleet vehicle. The other issue I have is that from what I’m reading, it should be a Flex Fuel vehicle, but it doesn’t have a yellow gas cap. Of course, maybe Enterprise changes the gas cap because they don’t want to confuse the customers, but then again, it was a Lease so that should not have been a problem. I intend to go to Enterprise Monday and ask. I want to do some mild mods, like maybe a CAI and some exhaust work, but I need to know what I own. With my Challenger, it was easy to make a TON of upgrades anywhere from simple bolt-ons to more complex upgrades, but with this Impala, I’m not finding anything as simple or aggressive. I’m hoping to figure this out. All the CAI options I can find have the air box on the driver’s side, or at least it seems that way. Last edited by 1970Olds442; 02-24-2019 at 12:38 AM. Reason: Posted in the wrong topic. You have a 9th gen (new style) Impala. 2014 is kind of confusing becuase they made both the "Limited" version and the "new" version. But if it was the old-style, it would say "Limited" on it and the airbox would be on the drivers side. Welcome to the forum, by the way. I have a 2012 (old style) and have attached a picture for a reference. Yours probably looks very different. :-) For what it's worth, I also just bought a 2018 Challenger myself. Very different car from the Impala, but I love both of them. Thanks so much for moving my post to the right place and the quick reply! Your right, I do have the “new” version. Unfortunately, from what I’m seeing, modifications are pretty limited with my model. Of course, I hope I’m wrong! As for your 2018 Challenger, I think you’re going to have fun!! My RT has the “Baby” Hemi so it’s only the 5.7, but I’ve done so many modifications it’s become kind of out of control (my wife’s words, not mine!). I’m hoping to add some simple modifications to increase my HP without going nuts like I did with my Challenger, but from what I’m seeing, if I don’t have the “Limited” version of the Impala, it just isn’t there. Thanks for the reply jtrosky!!!! That's OK - your "baby" hemi has my 2018 beat *easily*, becuase I got the Challenger GT (ahem, 3.6L V6, ahem). ;-) Living in PA, I really wanted the Challenger look while also having the AWD functionality - so I was stuck with the V6. I was tired of not wanting to leave the house every time in snowed, so the AWD was really appealing to me. As much as I'd like to have the V8 power and V8 sound, I had to compromise - and go with the Challenger "muscle car" look with the wimpy V6 AWD "functionality". :-) But that is OK becuase I still really enjoy it. Truth be told, for a daily driver, the 3.6L has enough power for me. I know one thing, this thing still rockets to over 100mph+ pretty damn quickly from a rolling start! :-) I can only imagine what it would be like with a big V8! Welcome to I.F.! Sounds like you have the latest version which we call the 9th here. If it helps, here is a picture of mine. plano-doug, IceMachine and Impala2015 like this. Can't see enterprise changing gas caps. Try doing a VIN search and seeing what it says about flex fuel. If your gas cap has the little hanger to keep it off the paint, my bet is it's original. I take it they didn't put it on the trunk like they did on my 13. 1970cs, I love the color of your Impala! Always been partial to a pretty blue......anyway, the reason I have quoted you is out of confusion. You said the latest Impala version (like yours and mine) is called the the 9th gen. I have seen reference to a 10th generation on this forum so I did a quick Google search and found the Wikipedia site calls the newest Impala's (2014 - Present) the 10th generation. It refers to the 9th generation as model years 2006 - 2016, with the 2014 - 2016 models of this gen referred to as Impala Limited. Typically, a new body style or platform change is considered a new generation. 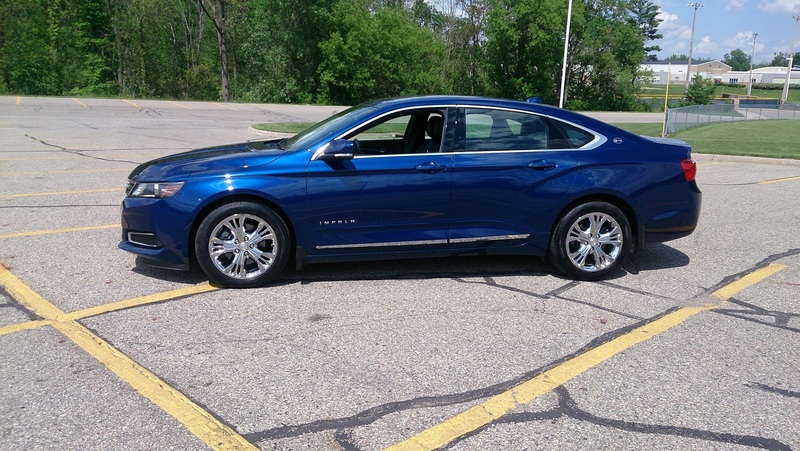 So, my long winded question is what Generation Impala is the latest and does it include my 2014 LTZ 2LZ? Last edited by USN24; 2 Weeks Ago at 05:44 AM. Reason: Forgot to add a link. well don't let her see this post! then she won't let you do anymore mods!!! What Moldings are those? I have an LT and would like to add moldings, but don't know if I want to go with the LTZ oem ones. Those are aftermarket from Dawn industries. Nice quality chrome look and are holding up nicely. My Dad has a 15 new generation Impala and he wanted to get the LTZ factory moldings. The dealer told him they have to drill holes in the doors. He said no thanks. Yeah same here. No no to the drilling of the doors. Also, all personal preference of course, but I dont like how the LTZ ones stop at about mid door on the rear.